I told you, didn’t I? That MTN are good at giving you a bouquet of offer that will force you to think, even more than twice or thrice to be able to make a rational choice. 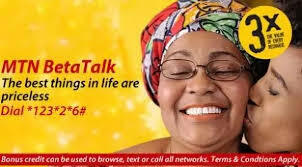 In addition to all you have read about MTN iPulse, MTN Xtra Pro and other tariff plans from MTN, you have MTN Beta Talk that comes along with somewhat different sets of offer. How? It is 200% bonus on every recharge above ₦100. Get it straight; to be eligible, the minimum recharge amount is ₦100. What that means is that once you recharge ₦100, you will get an additional ₦200 to call any network. So your total balance is tantamount to ₦300 for a recharge of ₦100. Whaoh! Once again, I invite you to let’s do the math together and see what I mean. What do you get this time? If you got ₦300 for ₦100 recharge, it doesn’t take an astronomical science to deduce that your recharge of ₦200 gives you a balance of ₦600, ₦300 gives your ₦900, ₦400 gives ₦1200 and so on. You see why I said these MTN guys are dazing their subscribers with various juicy tariff plans? And more interestingly, this airtime bonus could be used to make calls and send text messages, across all networks in Nigeria. Even using it for the international call, the standard rates apply. No rental fees, no daily charge, no different first-minute call rate. It’s flat rate. 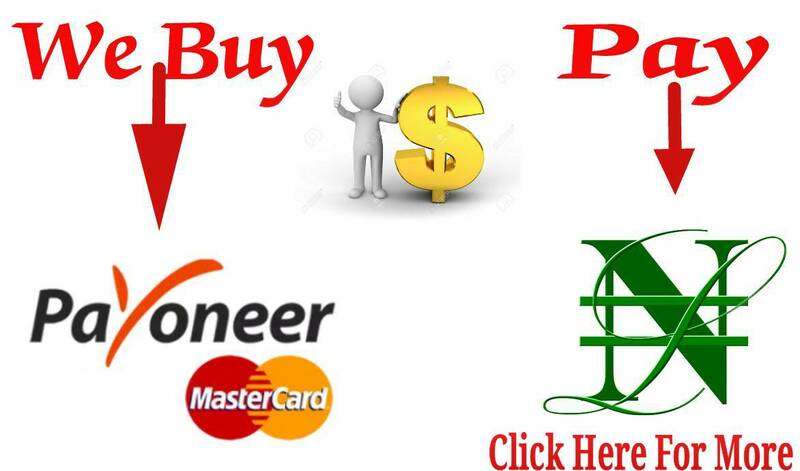 If you choose to, the bonus is also eligible to browse the Internet. (It would be a disservice to you though if I didn’t quickly add that it cost more if you browse when you are on MTN Beta talk. It more quickly exhausts your data.) So I advise you not to browse with it. Another thing that might interest you is that just like MTN iPulse, MTN beta talk, on top of 200% of airtime, is still giving data bonus. This how it goes: With a recharge of ₦100, you are entitled to 10MB, and 20MB on ₦200 recharge, 30MB on ₦300, 40MB on ₦400; and up it goes. But just like MTN iPulse, you are eligible for this data bonus for a single recharge in 7 days. That means that though all other recharges with the 7-days span gives you your airtime bonus, only once will you get this data bonus. 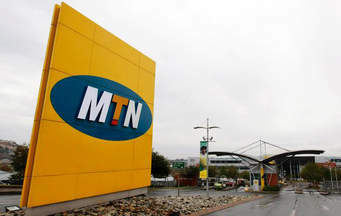 And remember that the data rate is high for the reasons best known by those MTN programmers. You feel jumping right away into MTN beta talk? Do not do so before you read what I’m about to tell you next. You may call it a caveat if you like. 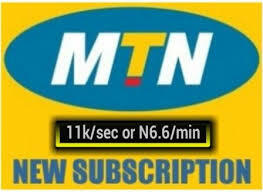 Now you can migrate, dial *123*2*6# and start talking better on MTN beta talk tariff package.